I am a 23 year old person. My mother language is urdu. I am reading quran since childhood. As a child my teacher used to teach me and I use to read it. I finished Quran twice. Then there was a big gap I stopped reading Quran. Now again I have started learning quran from a teacher. My problem is that I am reading Quran since childhood yet I couldn't read Quran properly. I make a lot of mistakes and I face real difficulty in reading Quran. I sometimes feels extremely depressed. Kindly help me what to do. How can I increase my mental capacity so I could read Quran with ease without mistakes and pauses? There is nothing you can do but just keep trying. Go to qualified teacher who can help you and that's the only way to get better is to reading. Or read with a friend who is better at reading arabic regulArly who can help you with pronounciation. And don't forget to understand the Quran, know the message and let it impact your heart. Because if you don't understand what you are reading, it will give you no benefit. Your not alone in this many people struggle reading the Qur'an especially if your first language is not Arabic more so if you forget how to read. Keep practicing, you will get it because I was always told it takes years before you understand the Quaran dont be too hard on yourself. At least your reading practice makes perfect sense. Funny name... but practice makes perfect. If you really keep reading, you will eventually get better. Just stimulate your brain, ,, they are also some prayers that help make you smarter.. I tried them and the only thing that works was practice and study hard and harder. 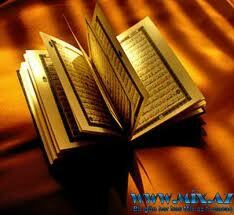 The one who feels difficulty in reading Quran, yet he tries tries again, has a double ajar (Benefit from Allah). and dont forget to recite "Rabbi Sharahli sadri, wa yassirli amri, wahlul Uqda tan min lisaani, Yafqahu Qauli". keep reciting this small ayat prayer all the time and Allah taa'la wil make it so easy for u INSHAALLAH. Its Allah's book so ask HIS a lot of help. Bless u. -Listen to others recite it as much as you can, you can YouTube any surah you want to listen too. -Read it during different time thought out the day. You can try reading 3 lines in the morning then 3 in the afternoon and 3 at night. OP:"Kindly help me what to do. How can I increase my mental capacity so I could read Quran with ease without mistakes and pauses"
I have been learning The Quran since I was 3. I still have a lot of difficulties reading. I was just learning a line in the Quran and stopped I just couldn't do it. And those thought make me cry my eyes out I'm even crying as I'm typing. Just believe in yourself and practice. Don't ever let satan make u think those thing. If u don't u will surely get back on track. I am a 14 year old girl, Urdu is my mother language and I haven't completed Quran yet. I don't get a teacher, I feel so guilty about that. I am 14 and I haven't even completed Quran. So instead of wasting my time and waiting for a teacher isn't it better for me to recite the Quran and complete it by myself? But I can make some mistakes, and I have heard that if we don't know how to exactly pronounce Quran then we shouldn't pronounce anything wrong and if we then it will be counted as a sin.